Ford Motor Co. announced last year that it will be dropping all but two car models from its lineup, choosing to focus more on hot-selling trucks and SUVs. One of the survivors is the Mustang, which begs a question: Why? I spent a week driving the current iteration of America’s iconic muscle car, a bright yellow Mustang GT with a manual transmission, which gave me a lot of time to think about it. Why will this car will be a part of Ford’s future while others — including the competent Fusion, Taurus and Fiesta — will not? To be sure, the Mustang has famously had several brushes with death in the past, including the gas crisis of the 1970s and the onslaught of sporty, high-quality imports in the 1980s and ‘90s. Just like it survived those, there’s a good chance it will outlast its current existential threat, America’s crossover-vehicle craze. The unmistakable style of the Ford Mustang is a major part of its enduring appeal. This car looks like no other, something that stands out even more in a market awash with lookalike sedans and coupes. It has nothing to do with the movement toward greener cars, something the self-righteous among us like to envision as the battery-powered, clean-burning future of motoring. If the future is green, the snarling V8 in my Mustang tester won’t fit in at all. As I see things, it has more to do with the failure of modern car designers to inject even the least bit of excitement into their products. 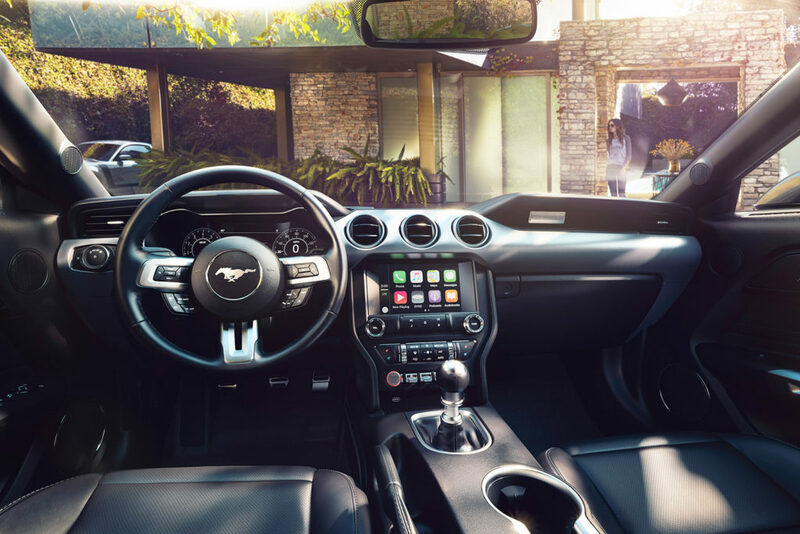 With nostalgic styling inspired by its roots in the 1960s, the Mustang’s cabin has roomy front seats and wraps passengers in a warm, rich, rumbling sound under acceleration. The Mustang is nothing if not exciting, something I experienced every time I turned the key. This is a car that wakes up both the soul and the neighborhood, which is one reason Ford added the Quiet Start feature this year for drivers who want to stay on good terms with their homeowners’ associations. With the push of a button, the V8 temporarily goes from adrenaline rush to serotonin hush. Outside that silent mode, though, the Mustang delights the senses. It looks thrilling. It sounds thrilling. And when you mash the gas pedal, its thrills cross the threshold from frightening to dangerous in a matter of seconds. It’s the antidote to the argument geezers across America have been making for years. Today’s Mustang is surviving because the geezers are spot-on correct. 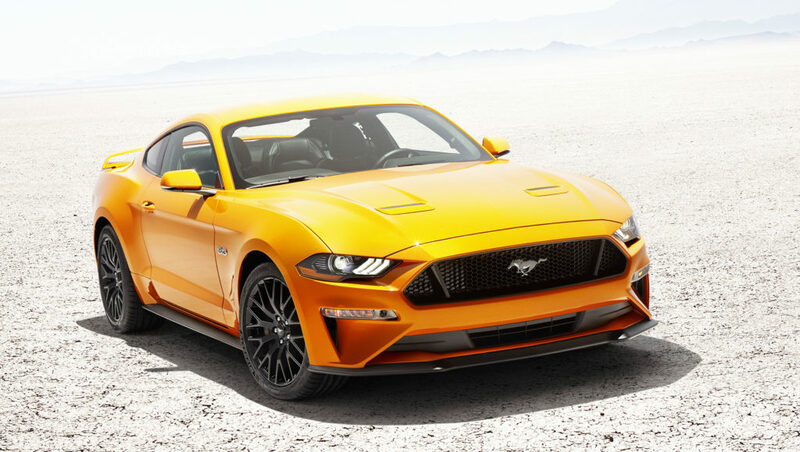 If I blame car designers for the bland, cookie-cutter sedans they’re foisting on us, I should give them credit for the Mustang coupe’s spectacular individuality. The current Mustang looks like nothing but a Mustang, not only because it dips liberally from the well of nostalgia. It incorporates its history in a way that’s both tasteful and contemporary, a nearly impossibly thin wire on which to balance. More than that, it gets the emotions right. Even if no one had any sense of this car’s history — its 1960s swagger, its legendary performance and its iconic pony-car look — I think this is a car that would be an instant hit if it suddenly appeared out of the ether with no back story. Its appeal is absolutely timeless. A century from now, if we hand Person of the Future the keys to this machine and a few miles of open pavement, that person is going to have a huge grin on their face. And as long as the Mustang can keep hearts racing, it’s going to be a part of the American automotive scene. Its future is as simple as that. It’s a spectacularly fun car to drive, particularly in GT form with its 460-horsepower V8 engine. It’s built for excitement from the inside out.